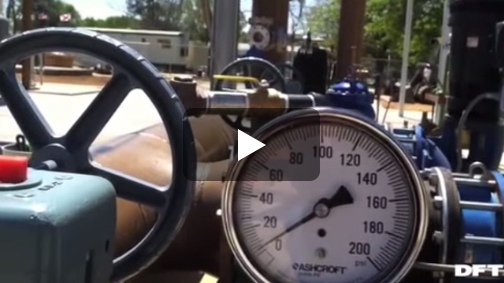 Want to see some of DFT®'s valve solutions in action? Click on the thumbnail below to view one of our educational videos. All videos are also available on DFT®'s YouTube channel. An Introduction to DFT® Inc. 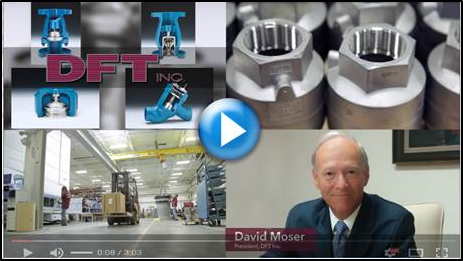 Featuring a virtual tour of DFT® Inc.'s production facility. Meet the DFT® Inc. team in this introductory video. 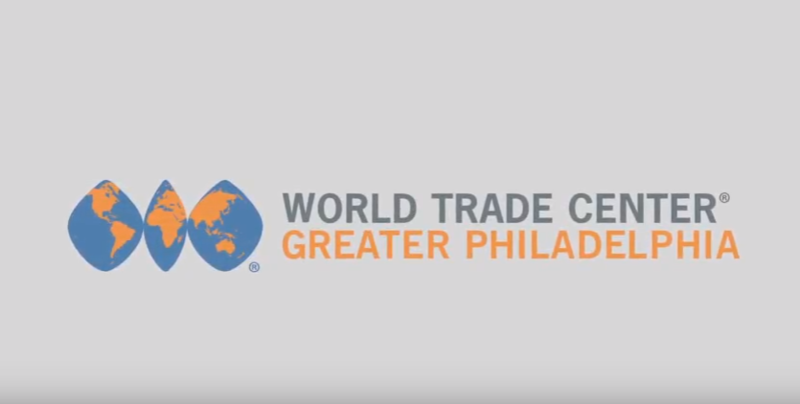 The 110-year-old check valve manufacturer won the World Trade Center of Philadelphia's 2017 Company of the Year Award for Pennsylvania. 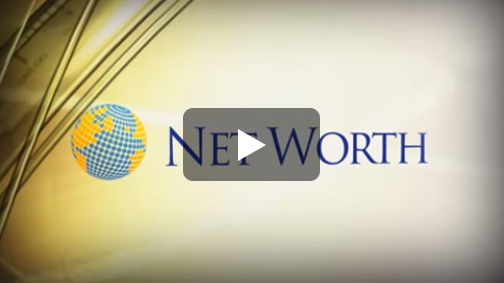 Business and financial television program Net Worth goes behind-the-scenes at DFT® Inc., exploring our company's history, inner workings and how we contribute to various industries. What is Water Hammer Animation? 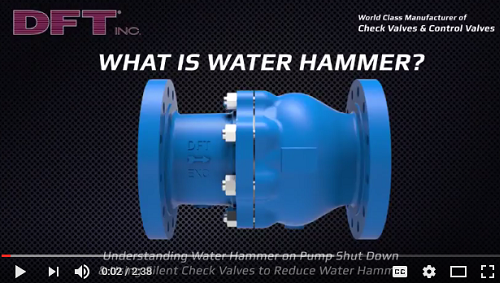 DFT® Inc.'s water hammer animation illustrates the phenomenon, its root cause as well as solutions to prevent it. 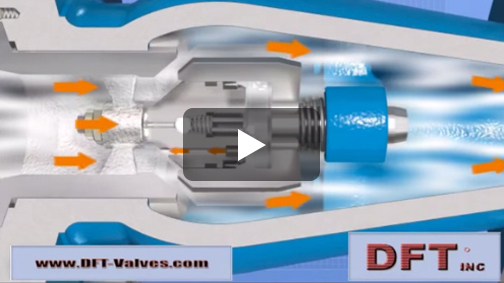 Watch the video to learn how pressure changes can affect your valves and fluid systems. ¿Qué es el Golpe de Ariete? 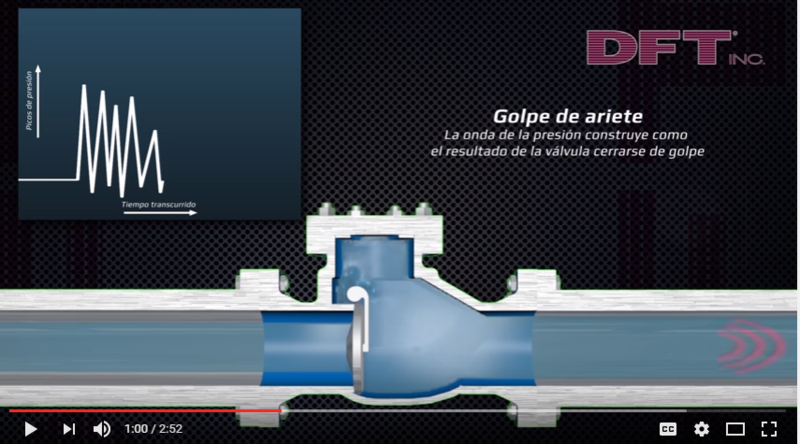 | DFT® Inc.
Golpe de ariete es una onda de choque, transmitida a través del fluido contenido en un sistema de tuberías. También usted ve un modelo Excalibur DFT® Válvula de retención silenciosa asistida por resorte en el arranque de la bomba. 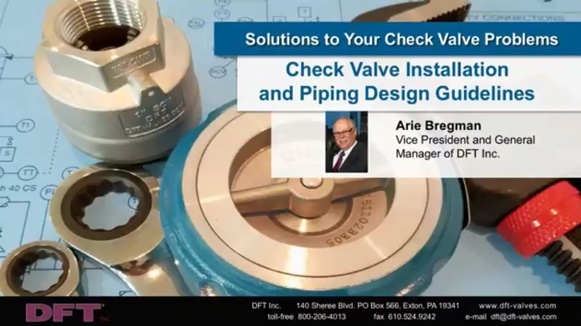 Watch our DFT® Inc. webinar on Check Valve Installation and Piping Design Guidelines, presented by DFT® Inc. Vice President and General Manager Arie Bregman. 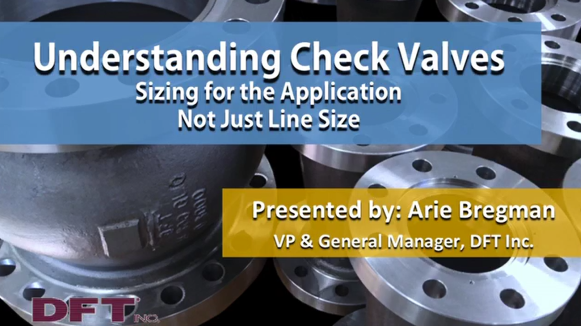 Size your check valve for the application, not just the line size with this on-demand Engineering360 webinar. 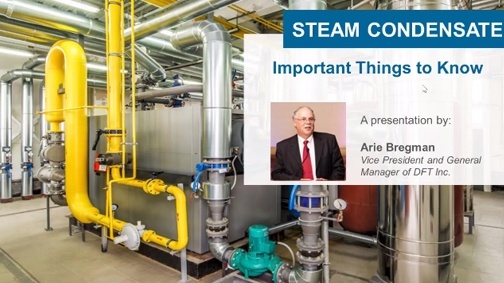 In this webinar, DFT Inc.’s Vice President and General Manager and Valve Manufacturing Association (VMA) board member Arie Bregman shares lessons learned during his 35 years of valve experience. 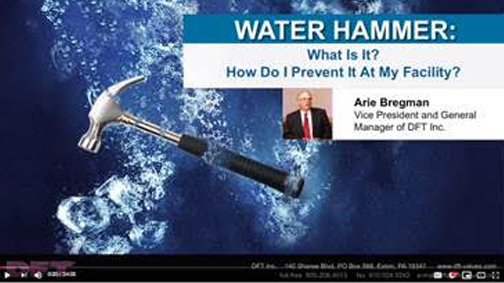 Arie also answers water hammer questions such as: What is water hammer? How do I stop water hammer? 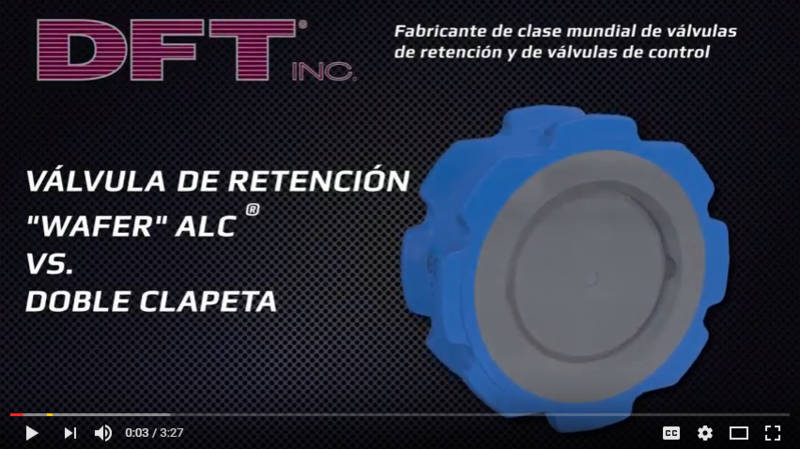 The DFT® model ALC is a wafer check valve providing reliability and low maintenance for a wide range of fluids and gases at various pressure and temperature combinations. See a side by side comparison to a double door. El modelo DFT® ALC es una válvula de retención de la oblea que proporciona una confiabilidad y bajo mantenimiento para una amplia variedad de fluidos y gases a diferentes combinaciones de temperaura / presion. Ver una comparación lado a lado a una doble clapeta. 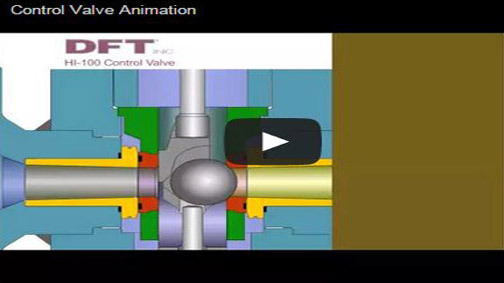 Understand the difference between the GLC Flanged Check Valve and Swing Check Valve by watching this animated illustration of the two valves. The PDC Silent Check Valve is specially designed for use on the discharge side of reciprocating air or gas compressors. It includes a pulse damping chamber to maintain the disc in the open position during flow reductions. 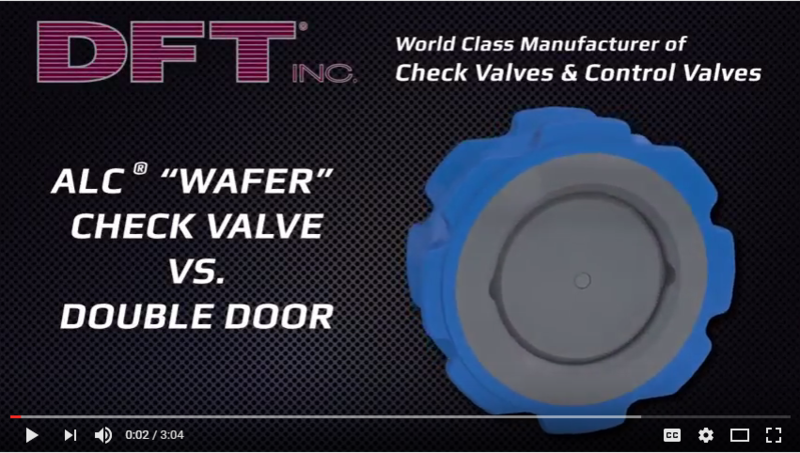 DFT® Inc.'s ALC Check Valve is a non-slam, spring assisted "wafer" check valve designed to prevent problems such as water hammer and reverse flow in your piping system. 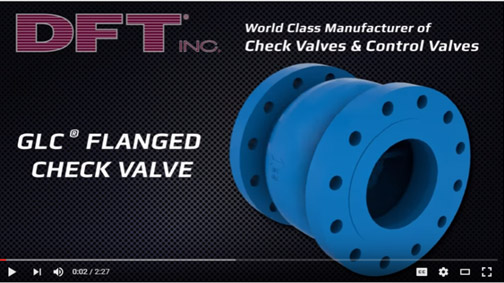 DFT®'s control valve offers a straight-through design with a non-obstructed flow. Its features include high rangeability, high flow capacity, class V shutoff and a unique internal design. 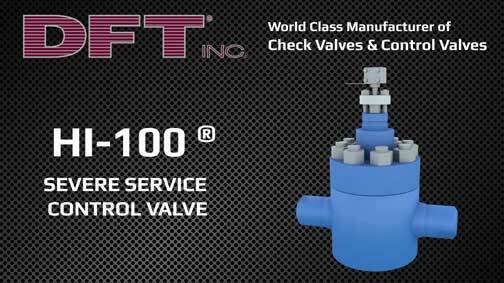 The DFT® model HI-100 Control Valve is a Severe Service Control Valve that can handle a wide variety of fluids - from gases and liquids to light Slurries as well as high pressure /and a wide range of temperatures.